My scarf and bandana thread benefits greatly from this inclusion by Yayoi Kusama for Louis Vuitton. But sadly the display was in a small storefront window, so I cannot share with you my principal interest, the Scarf Knot tie behind the wood headform. I wonder if Japanese tie an excitingly different style of Knot? If you know the answer post a comment please. 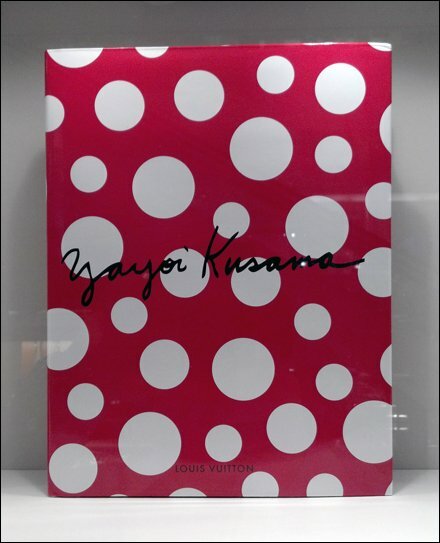 CLICK the thumbnail for a closeup of the Louis Vuitton / Yayoi Kusama Book Cover.